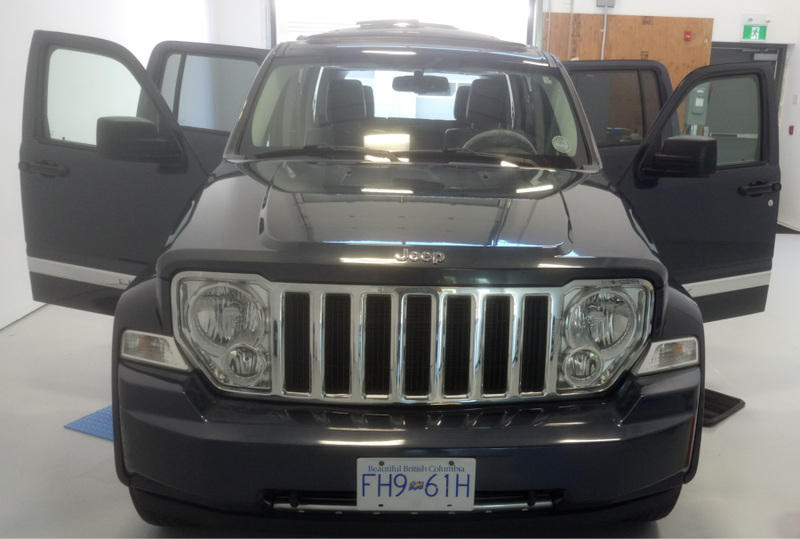 Watch this car detailing before and after video. The owner of this Jeep Liberty had recently returned from a road trip that included a lot of driving on gravel back roads. Though road trips are a lot of fun, they also make a vehicle dirty – inside and out! Car owners sometimes consider detailing a “nice to have” frill, but, detailing is a necessary part of car care. It extends the life of exterior paint and interior upholstery, and, can dramatically increase the resale value of your vehicle. Don’t let dirt, grime, gravel, sand, bird dropping, oil, tree sap, and water spots, scratch, etch and fade vehicle paint and slowly ruin interior upholstery. Engine compartment detailing and protective coating of compartment plastic and metal. Interior upholstery and carpeting vacuuming. Interior upholstery cleaning. In this case, the leather upholstery was cleaned with special leather cleaners and treated with polymers to protect leather from cracking, staining and wear. This vehicle will come in for a second detailing to cut polish and finish polish the exterior. If you are looking for signature car detailing in Vancouver, Richmond, Burnaby, or Surrey, contact Gleamworks.